If someone flashed this photograph in front of a large group of people and shouted, "Which famous person does this look like?," well, 99 percent of them would probably shriek back, "Prince Harry!" We have the red hair, and the cinnamon beard, and the uniform, and the semi-intangible gleam of Harry's eyes. Even without having that question shouted at them, most people would probably think to themselves, "Oh, this dude looks like Prince Harry," upon seeing this shot. In fact, the man on the cover of this 1957 issue of Paris Match—unearthed and posted by Getty photographer Chris Jackson—is Prince Philip, who was 36 years old at the time. 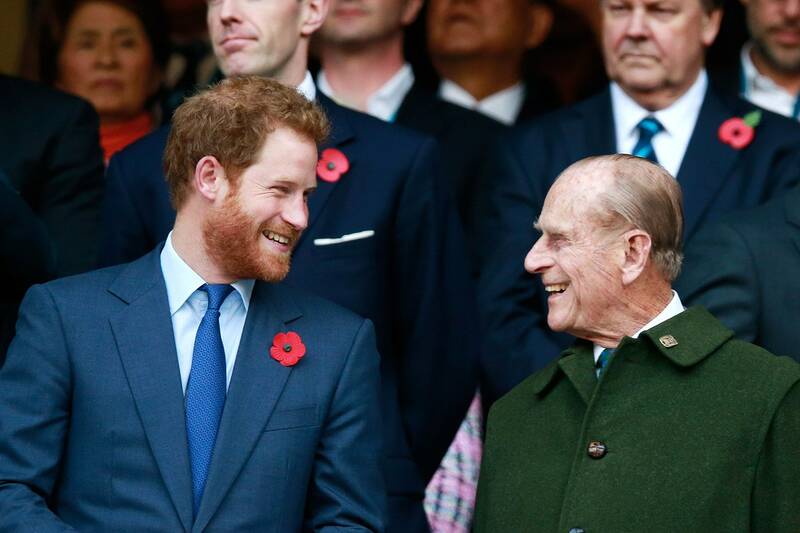 As People, who noticed the Instagram post, puts it, "With their matching pale blue eyes, red beards and mischievous smiles, there's no denying the family resemblance between the two royals." Also, given the rumors that have circled Harry's parentage, this resemblance is perhaps slightly more intriguing than your run-of-the-mill, Look how much this guy looks like his grandson looks now! By Phil Walter/Getty Images.By Phil Walter/Getty Images.